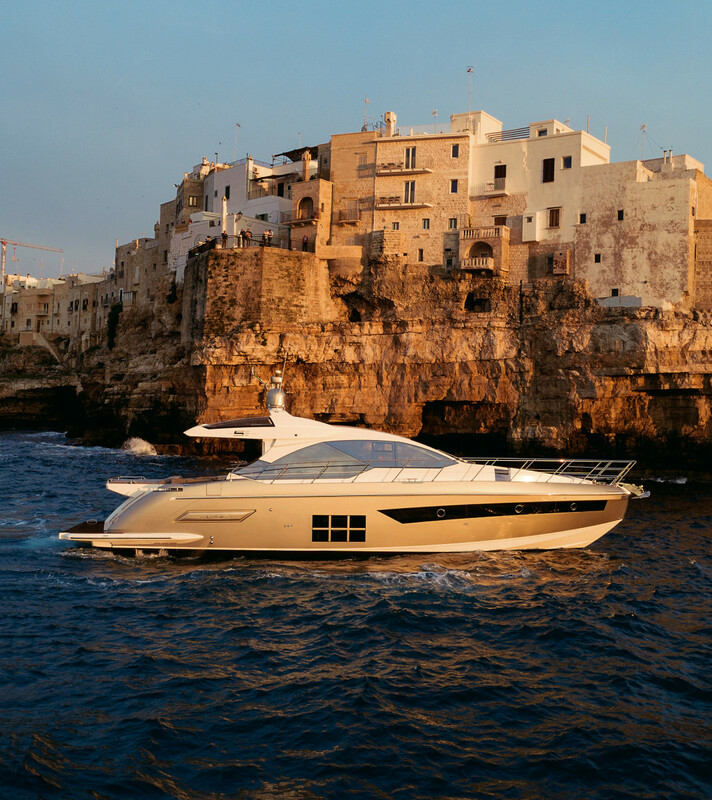 With three engines and plenty of high-performance DNA running through it, Azimut’s S6 sets a new bar. 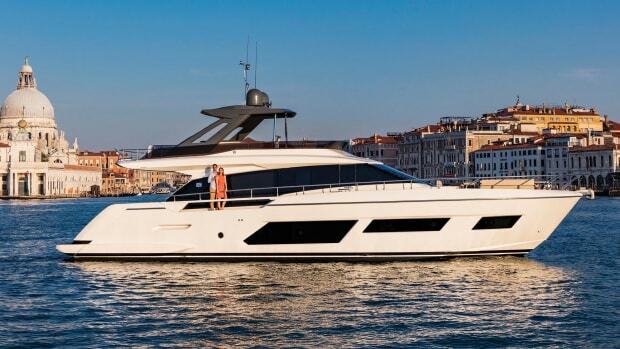 Azimut continues its successful pursuit of la dolce vita with the nimble, cosmopolitan S6. 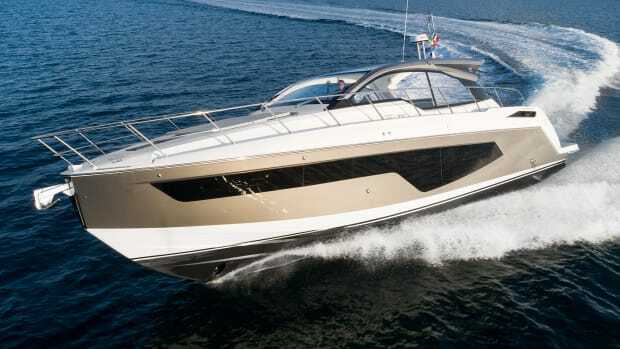 It was six years ago that Azimut first startled us all by unveiling the triple-engine-powered 55S, with its aggressive, angular styling and exhilarating performance and handling. The surprise of opening the hatch and finding three 435-hp Volvo Penta IPS600s was such that marine journalists immediately took to calculators and spec sheets and started working out just why on earth such an experienced builder would choose such an expensive and complicated installation—surely two motors of equivalent horsepower would do the job just as well? In fact, the numbers, once crunched, revealed sound method behind this apparent madness. Three turned out to be considerably lighter than two, and no thirstier for diesel. 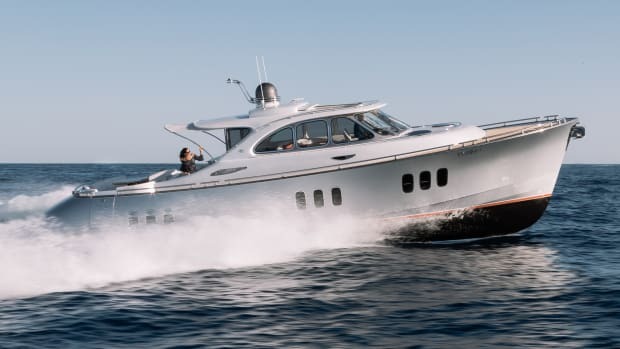 And of course much smaller—leaving all-important space in the hull for the opulent accommodation which, when all is said and done, is what we turn to Italian motoryachts for. With the new S6, however, the numbers tell a less compelling story. 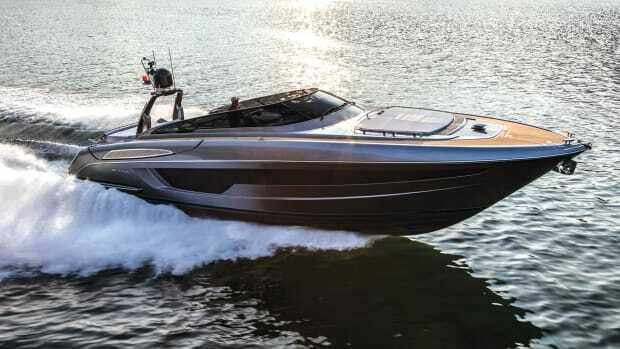 Based on a modified and slightly lengthened version of the same hull, even with its high-tech construction—the superstructure, swim platform, tender garage hatch and sunroof are made entirely of carbon fiber, along with parts of the deck—it’s heavier as well as bigger than the old 55S. 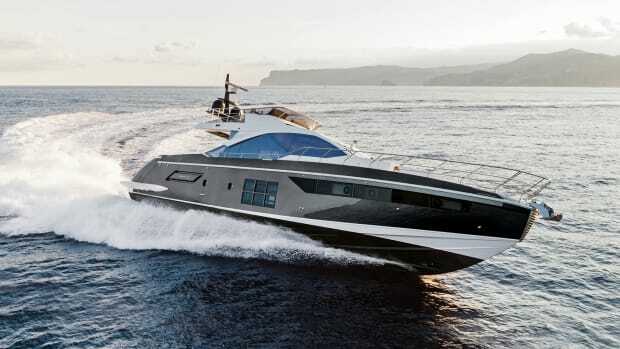 So it needs more horsepower, in the shape of Volvo Penta’s 7.7-liter D8 blocks. Three 550-hp IPS700s are only slightly lighter than their counterpart pair of 800-hp IPS1050s, and offer no significant advantage in combined fuel consumption either. But they’re still a lot smaller—so, once again, a triple engine installation was a no-brainer for designers anxious to incorporate as much lower-deck luxury as possible. Styled by Francesco Guida, the S6’s interior design takes its cues from the bigger S7 introduced last year, with its rational forms and cool color palette. Contrasting tones of oak veneers help delineate the spaces, and isolated details in leather and steel provide little visual nuggets to catch the eye. But overall the dominance of pale fabrics and linings does its job in not upstaging the star of the show, which is light. Big windows abound on both decks. Every guest space on board can have its moment in the sun. 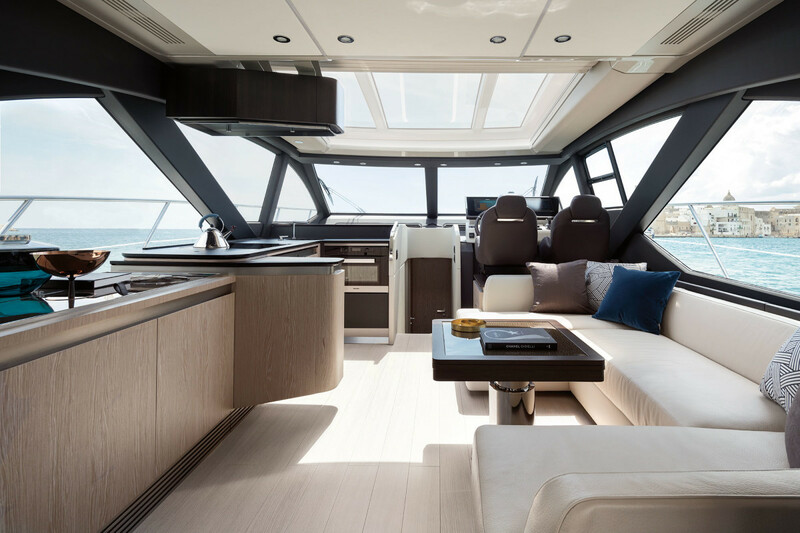 The salon is a sociable spot with seating to starboard facing a practical, low-level galley which doesn’t get in the way of the view. Glass panels in the sunroof add a patch of blue to the uninterrupted sightlines all around, and there is a seamless transition out into the cockpit, where our particular S6 had the optional carbon fiber table, along with a fridge and sink to save that long trek to the galley. The aft sunbed conceals a very useful stowage area, with the tender garage beneath. This can accommodate a RIB up to nearly 11 feet; ours had a Williams Turbojet 325. 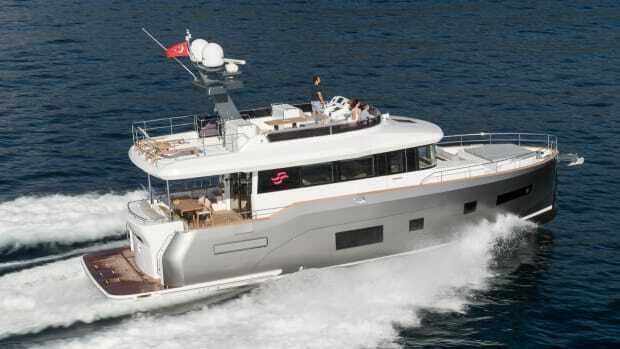 On the lower deck, the three cabins and two heads follow the layout conventions established with the 55S. 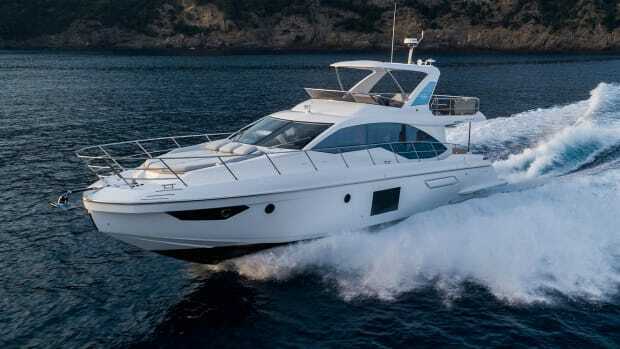 The master is amidships and clearly designed to impress, with its diagonal double berth and the option of a breakfast dinette or a chest of drawers on the port side. 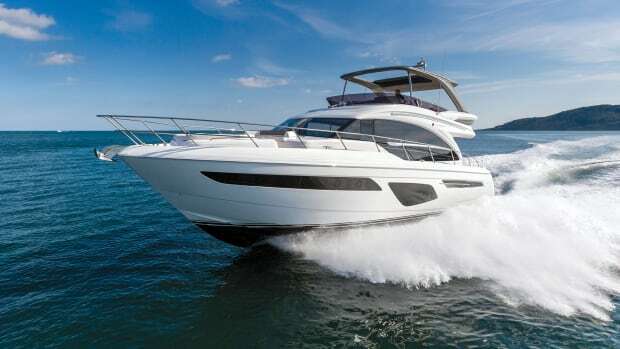 It has a generous floor area and useful stowage capacity, and it feels notably spacious, which is a luxury on board any boat. Headroom is 6 feet, 3 inches. Up in the bow, the VIP cannot compete with the master for space or stowage, but it’s still a comfortable sleeping cabin with a good-sized en suite head and an inch more headroom, in ironic contrast to the bed, which is an inch shorter than the master’s. Maybe it’s a designer’s inside joke. 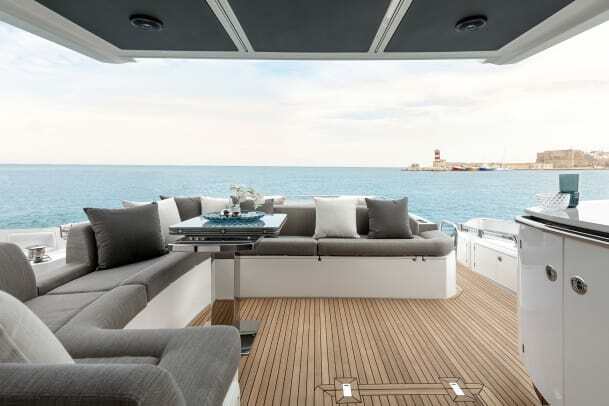 The twin cabin on the starboard side is a simple affair with the longest berths and most generous headroom of all, albeit with just the one modest hanging locker and shared access to the VIP head. With a strong strand of 55S DNA running through it, the S6 has plenty to live up to when it comes to performance and handling. And it does not disappoint. Looking even more packed than its predecessor, the engine room positively bulges with power and potential, the three big six-cylinder powerplants leaving little room down there for anything else. 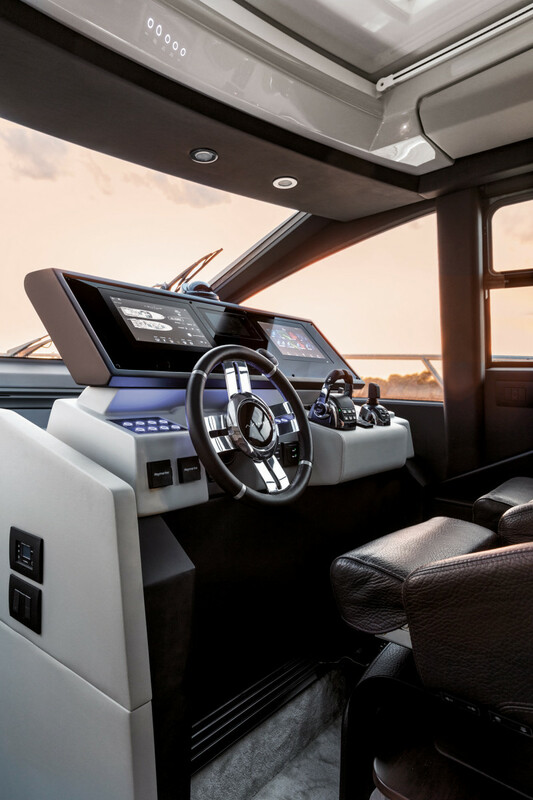 A full suite of Volvo Penta electronics made our test S6 remarkably easy to drive for such a complex beast, with just one throttle lever controlling all three engines while underway, and a joystick to coordinate the outer IPS drives and the bow thruster while in the harbor, for almost total positional control. A snub-nosed, trapezoid bow and the hullside glazing are distinctive features of the S-class range. 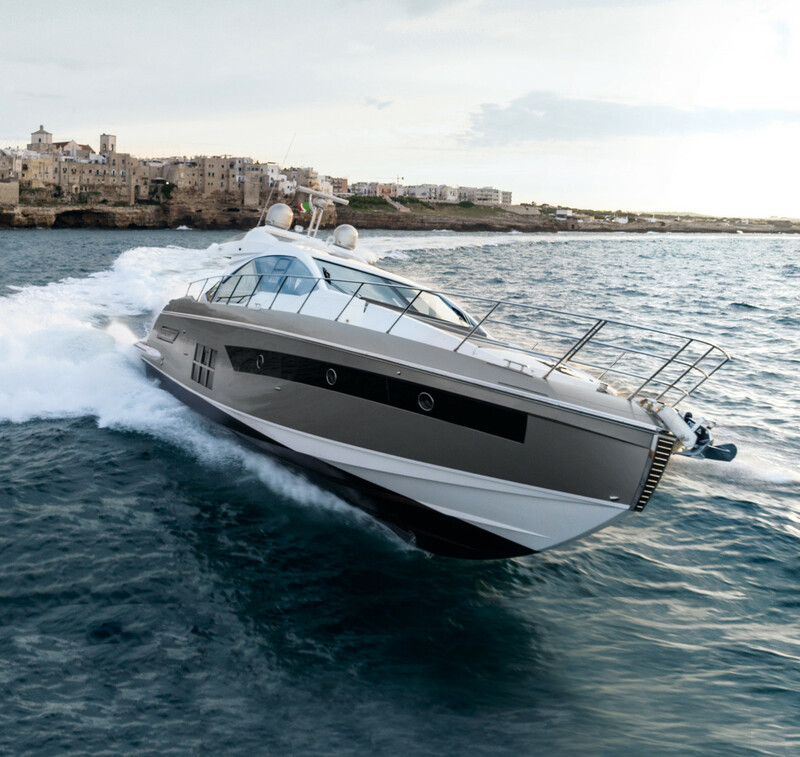 The automatic trim operated flawlessly in the admittedly benign conditions of our South of France sea trial, with a lightly laden boat and a barely noticeable chop on the water. On autopilot the joystick control was remarkably intuitive, allowing the helmsman to dodge obstacles by simply tapping the stick to one side or the other. More considered course corrections can be made by twisting it: Twist and let go for a one-degree correction, twist and hold for 10 degrees. All of which is very sensible and convenient, but not actually as much fun as driving the S6 for yourself. As you might expect with 1,650-hp on tap, acceleration was immediate as the boat hauled itself up onto plane in something like seven seconds. It then just kept going, reaching 35 knots in as many seconds. And acceleration is not just about the stopwatch: The reality of an instant and willing response to the throttle even at moderate speeds has a valuable practical application—not the least of which is to make driving fun. And fun it is. 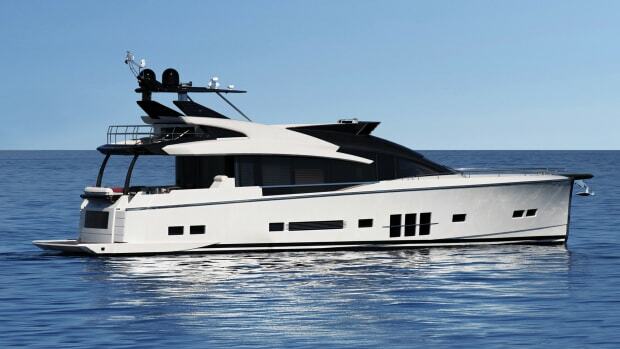 Hull deadrise on the S6 is a fairly deep-V of 21.2 degrees amidships, flattening slightly to 15.5 degrees aft. Taking the chop and any larger wakes we could find at 90 degrees produced a soft and satisfying judder as the keel sliced through, and although it was possible to induce firmer impacts by taking the waves at odd angles, overall the hull impressed with its combination of poise and power. It was impossible not to smile in hard turns, when its exhilarating angle of heel had us keeping a lookout through the sunroof, with nothing to see through the side windows but sea on one side and sky on the other. 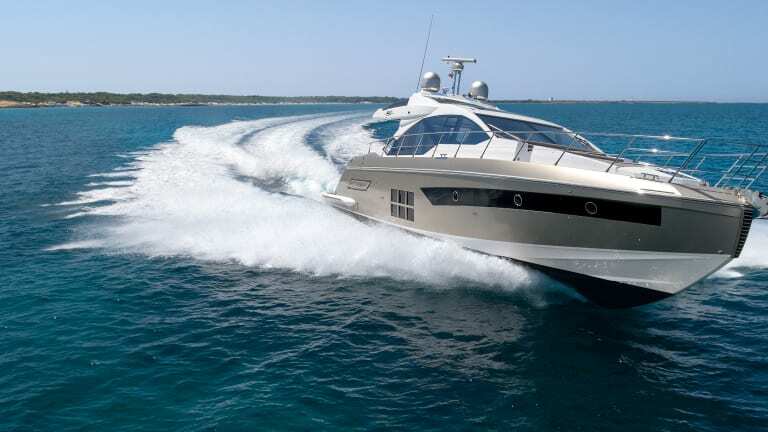 Azimut had nothing to prove with its triple-engine installation in the S6. The 55S had already done that. But the earlier boat was a hard act to follow. 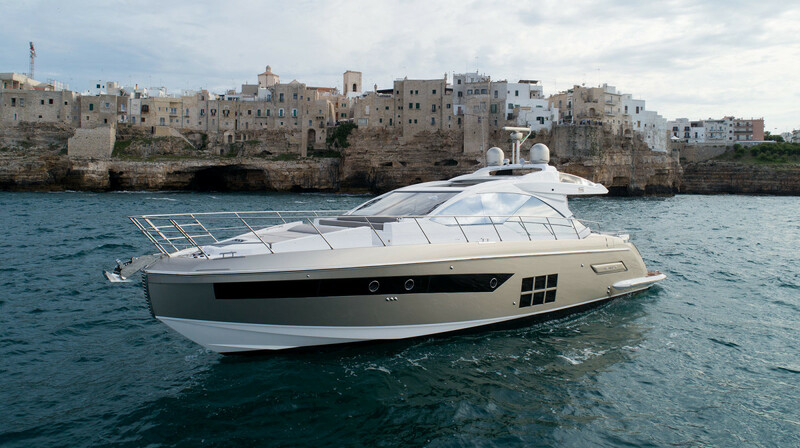 Azimut’s designers and engineers set themselves an unenviable task—taking a great concept and making it better. But then again, isn’t that what innovation is all about? Test Conditions: Seas: 2-3 ft.
Load: Fuel: 370 gal. ; water: 74 gal. ; 10 people on board. Speeds are two-way averages recorded via Raymarine GPS. GPH taken via Volvo Penta engine display. Sound levels measured at the helm. 65 dB(A) is the level of normal conversation. Range is based on 90% of advertised fuel capacity.